What is M2A4 57344 pill? The pill with imprint M2A4 57344 is identified as Acetaminophen 500 mg tablet which is of white color and round in shape. The main supplier of this medication is Physician Partner. Acetaminophen is indicated for the treatment of pain, sciatica, muscle pain, fever, and plantar fasciitis. This drug belongs to class miscellaneous analgesics. The risk of this medication cannot be ruled out during pregnancy. Acetaminophen 500 mg is not a controlled substance under the Controlled Substance Act (CSA). Active ingredient (in each tablet) is acetaminophen 500 mg which appears as a white crystalline powder which is odorless but has a slightly bitter taste. This compound belongs to the class of organic compounds known as 1-hydroxy-2-unsubstituted benzenoids. These are phenols that an unsubstituted at the 2-position. Acetaminophen is used for the temporary relief of minor aches and pains due to: Headache, muscular aches, backache, The minor pain of arthritis, common cold, Toothache, Premenstrual and menstrual cramps, also it reduces the fever temporarily. M2A4 57344 pill contains acetaminophen which is unscheduled in Australia and can be purchased over the counter. In the United Kingdom, Acetaminophen comes under GSL (General Sales List), which means it is available off the shelf with no pharmacy training required to sell (so they can be sold anywhere, such as supermarkets). In general, they are considered safe for most people when taken correctly. In the United States, it is sold over the counter and does not come with the prescription drug. What are different brand names for acetaminophen? M2A4 57344 contain acetaminophen which comes under various brand names such as Tylenol, calpol, crocin, Panadol etc. Acetaminophen is thought to act primarily in the central nervous system, where it inhibits the prostaglandins synthesis by inhibiting COX-1 (cyclooxygenase-1), COX-2, and COX-3 enzymes. Unlike NSAIDs, acetaminophen does not inhibit cyclooxygenase in peripheral tissues and, thus, has no peripheral anti-inflammatory affects. While aspirin acts as an irreversible inhibitor of COX and directly blocks the enzyme’s active site, studies have found that acetaminophen indirectly blocks COX, and that this blockade is ineffective in the presence of peroxides. This might explain why acetaminophen is effective in the central nervous system and in endothelial cells but not in platelets and immune cells which have high levels of peroxides. Studies also report data suggesting that acetaminophen selectively blocks a variant of the COX enzyme that is different from the known variants COX-1 and COX-2. This enzyme is now referred to as COX-3. Its exact mechanism of action is still poorly understood, but future research may provide further insight into how it works. The antipyretic properties of acetaminophen are likely due to direct effects on the heat-regulating centers of the hypothalamus resulting in peripheral vasodilation, sweating and hence heat dissipation. Stop taking acetaminophen if you have any of these serious side effects of acetaminophen, and call your doctor immediately. Hives, difficulty breathing, and swelling of the face, lips, tongue, and throat could signal an allergic reaction. Red, peeling or blistering skin could be the sign of a deadly, although rare, skin reaction. Can M2A4 57344 pill cause dependence? Acetaminophen usually does not consider as addictive and usually does not cause any dependency. Higher doses of a drug do not give addiction like the common drugs of abuse. Acetaminophen, when taken orally, shows complete and raid absorption. It shows 25% protein binding. 40 to 50% does of acetaminophen undergoes glucuronidation whereas 30-35% of the dose undergoes sulfation. A small percentage of acetaminophen is oxidized by CYP2E1 to form N-acetyl-p-benzoquinone imine (NAPQI), a toxic metabolite which is then conjugated to glutathione and excreted renally. Studies suggest that CYP3A4 and CYP2E1 are the primary cytochrome P450 isozymes responsible for the generation of toxic metabolites. After conjugation, approximately 80% of the acetaminophen is excreted in the urine and around 3% excreted unchanged in the urine. The half-life of acetaminophen is 1 to 4 hours. How long M2A4 57344 pill stays in the system? 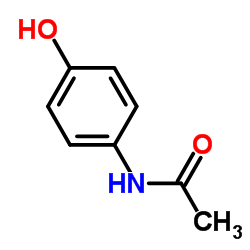 The half-life of acetaminophen is 4 hours which means that half of this drug is out from the body in 4 hours. The total elimination time of a drug is five times to that of the half-life of a drug. Therefore it will be completely excreted from the body in one day.